He expects inertia in US foreign policy to continue. 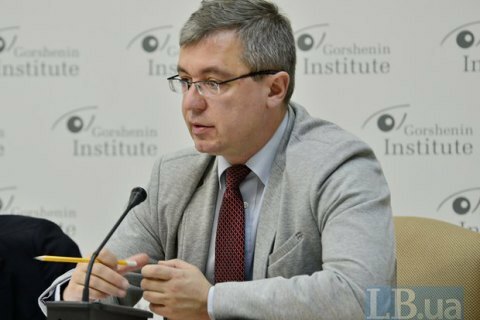 Ukraine has not been and will not be on the list of US top priorities regardless of the result of the presidential election due in November 2016, Oleksandr Sushko, research director of the Institute of Euro-Atlantic Cooperation, has said at the roundtable "US presidential campaign: trends, forecasts and impact on US-Ukrainian relations" at Gorshenin Institute. "US foreign policy will preserve a notable share of inertia, especially if [Hillary] Clinton wins. I predict that in the coming years, up to five years, support for Ukraine will continue, keeping in mind that it [Ukraine] has not been and will not be on the list of top three priorities of the USA. Deviations can of course be wide if Trump wins," he said. In his opinion, the US foreign policy with regard to Russia will depend on a particular situation and there are no grounds for a new reset. "The reset [in 2009] was a phenomenon defined by specific historical terms during [Dmitriy] Medvedev's presidency. Currently there are no grounds, not even a slightest reason for such an illusion," he said. "Clearly, relations with Russian will play an important role in US policy. However there are many variables and factors, the most important of them being the level of dependence of US success in the key directions of its foreign policy in particular areas of the world on the position of Russia. For example, if a conflict breaks out somewhere, which can hardly be settled without Russia, the importance of these bilateral relations will increase. The Syria issue was the moment when this significance increased however they were no fundamental changes to the policy," Sushko said. Yevhen Kurmashov, director for political programmes at Gorshenin Institute, also noted that Ukraine would not be on the US priority list. "Not a single election staff or presidential candidate thinks that the Ukrainian problems should be at least among the top five issues which they would raise with their voters with a view to improving their ratings. There is very much Iran, China is present as well as Russia, Israel is always a part of foreign policy, also Mexico and Cuba. There is everything but Ukraine is not on the agenda or minds of US presidential candidates," he said.